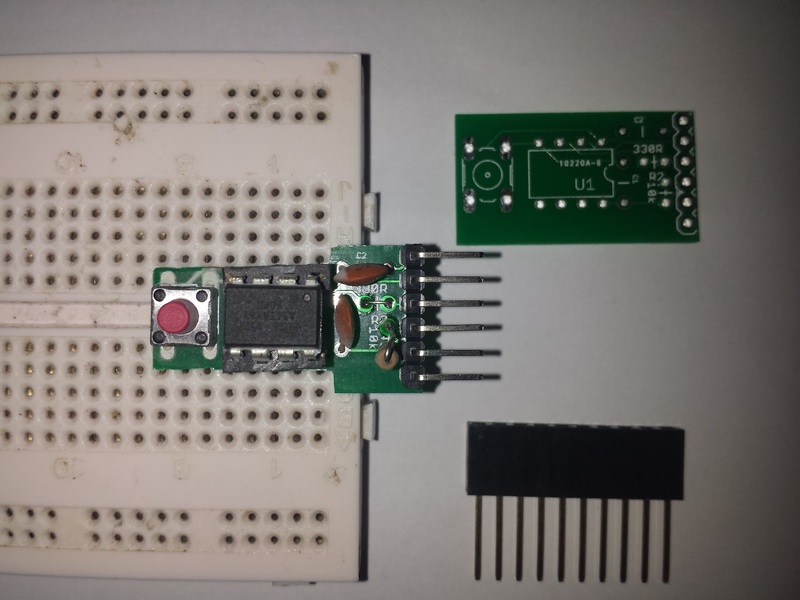 The photo shows an upgrade to last year's tiny ATtiny development board: now even smaller and with fewer components but with better breadboard performance! 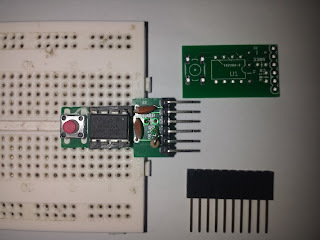 The schematic and board layout (for Eagle) along with gerbers can be found here. The pcb (from Seeed, 1€) was cut down to size with a Dremel.